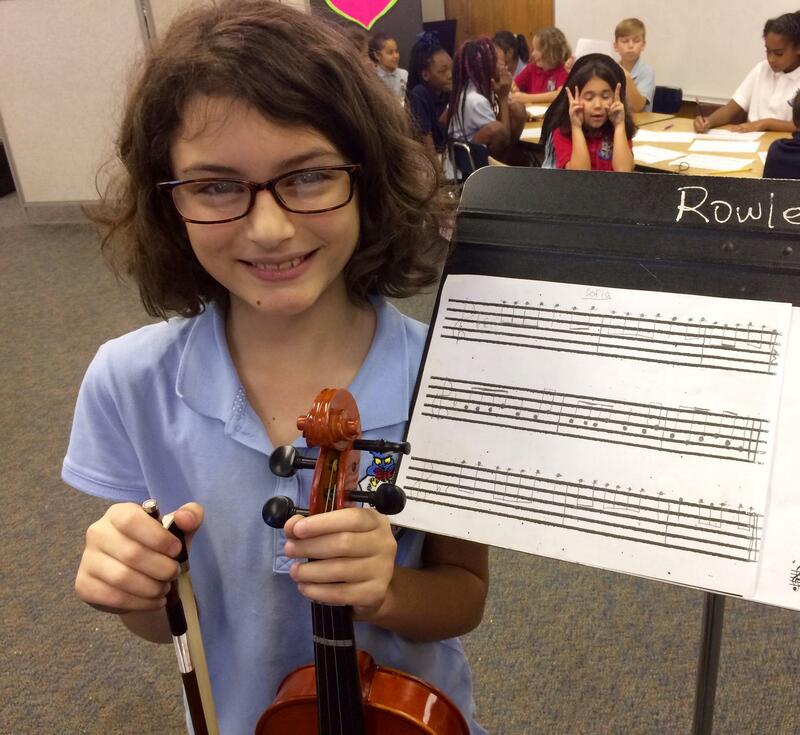 Strings instruction is available to all students as a free after-school enrichment program. The instructors, Mr. David Reyes and Mrs. Linda Reyes, work with both beginning and advanced students in grades 2-5. 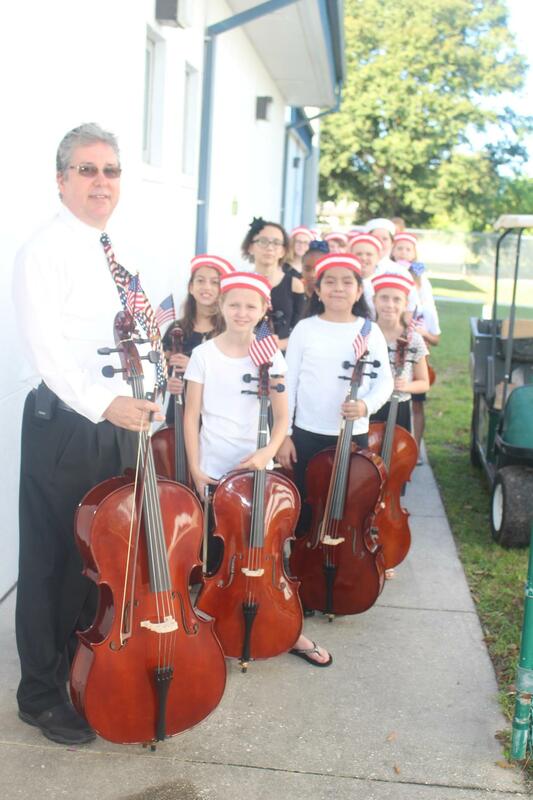 The Strings students perform at Rowlett Events such as the Veteran's Day show, but also at events in the community such. In December 2018, students will play for the residents of The Windsor Assisted Living facility... sure to bring much holiday joy! Rowlett students participating in strings instruction with Mr. and Mrs. Reyes.